Pantone, the world’s leading color authority for 50 years announced the color of the year for 2014. The color is…. Pantone’s colors are not only important to commercial businesses for selecting the perfect hues for logos, banners, etc., but they are used in fabrics, fashion, decorating, paint colors, and even make up. Radiant Orchid (and all Pantone colors of the year) gets its own line at Sephora! Colors to wear with Radiant Orchid are lavender, purple, and pink. Complementary colors to Radiant Orchid are olive, green, teal, turquoise, and yellow. Radiant Orchid will give a pop to neutrals like grey and cream. What do you think? Will you be adding Radiant Orchid to your accessory repertoire? 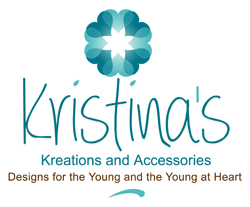 Kristina’s Kreations and Accessories © 2019. All Rights Reserved.